This week’s picks are all about the East Coast. This is the time of year where “they are what we thought they were” plays a big part in spreads which makes them harder. Those big buildings are in Vegas didn’t get there by having easy lines. I’m one of the few that hasn’t jumped off the Florida St. bandwagon. They got destroyed on the road at Louisville and UNC is better than people realize, especially on offense. The Noles defense has been downright disappointing and if it wasn’t for Notre Dame’s defense, I would say the most disappointing defensive unit in the country. Nothing gets you back on track like playing your rivals on the road. Miami (Fl) has been impressive but when you take a closer look, you’ll see their schedule has been softer than Charmin. This is where you go with ‘battle tested’ over record. The Volunteers have been the most schizophrenic team in the nation. In the first half you wonder if Butch Jones knows what he’s doing and then the second half hits and you wonder how any team can stop them. Speaking of stopping opponents, for the first time since dinosaurs ruled the Earth, the Aggies have a defense worth talking about. Defensive end Myles Garrett missed last week’s Texas A&M win but could be back for this one. This game will come down to who plays better, Joshua Dobbs or Trevor Knight. This smells like a one score game. NC State has been sneaky good against a week schedule. A lot like UNC’s QB, Mitch Trubisky, not many have heard of Ryan Finley. He’s only completing 72% of his passes with 9 TD’s and 0 interceptions. On defense, the NC State pass rush has been as good as any. This game shapes up as a shootout. The Irish have done a good job protecting Kizer and that will be the difference. If you don’t know Tar Heel QB Mitch Trubisky, you better get to know him. Trubisky has thrusted himself into the circle of Heisman talk. Trubisky is completing 76% of his passes and hasn’t thrown an interception in his last 240 pass attempts. 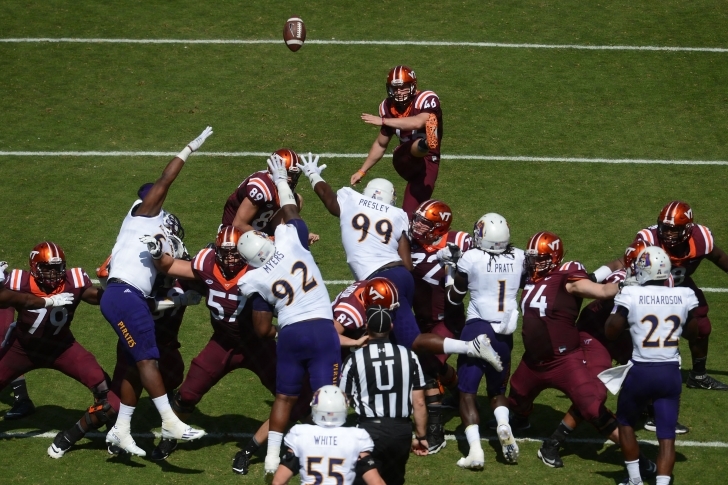 The Hokies defense ranks 10th in the country against the pass. They are a complete meltdown against Tennessee away from being undefeated. Bud Foster has the Hokies defense looking like the glory days but this comes down to how much spark the Tar Heels have left after playing a tough early season schedule. If this game is in Blacksburg, it’s all Hokies but with it being a home game for UNC, the Heels will eek it out.